Start by making sure you hire a reputable bail bonding company, like Remedy Bail Bonds. Remember that it’s ultimately down to how backlogged the police are, and how many other cases they are processing. You can get the ball rolling by calling your bail bondsman as early as possible. Learn more by reaching out to Remedy Bail Bonds today! When your loved one is in jail, you naturally want to help them get out as soon as possible. That’s something you can accomplish, affordably and expediently, by working with a bail bondsman. Remedy Bail Bonds is proud to be a leading San Bernardino bondsman, and to help families be together as they await their day in court. A common question we get is, how long does the process actually take? That is, how expedient can we really be in getting your loved one out of jail? The short answer: It just depends. Again, it’s our goal to help individuals get out of jail as quickly as possible, and we are committed to always making the process as quick as can be. With that said, there are a number of factors to consider, and some of them are outside our control. A lot of it comes down to how busy things are at the jail. Getting a bail bond processed ultimately depends on the police completing some documentation and paperwork—and how long that takes depends on how many other cases they are trying to get processed. Call your bail bond agent as quickly as possible! Call them as soon as you learn that your loved one has been arrested and that bail has been set! Remember that companies like Remedy Bail Bonds are open 24/7, and we’re always ready to get to work on your case. Collect as much information as you can. The more data you can provide to your affordable local bondsman, the quicker the process can be completed. In particular, provide: your loved one’s name; the charges; the bail amount; and the specific jail where your loved one is being held. Be patient! The process may take a few hours—again, just depending on how backlogged things are at the jail. If you’ve called a reputable local bondsman, you can rest assured that they are hard at work getting the paperwork processed and your loved one released just as quickly as they can do it. 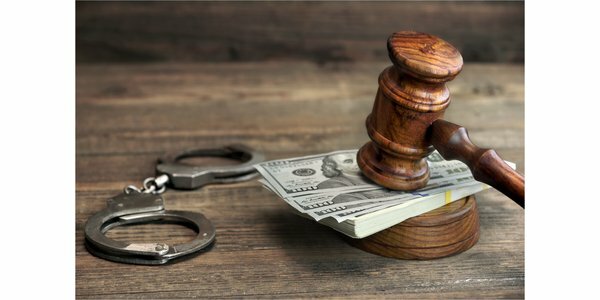 In the meantime, review some of the responsibilities you have in cosigning a bail bond—specifically, ensuring that your loved one makes it back to court for their scheduled appearance. A San Bernardino Bondsman Will Get Your Loved One Out of Jail—Quickly! The bottom line is that San Bernardino bail bond agents are here to help your loved one get out of jail, allowing them to await their trial date at home, surrounded by loved ones. The process isn’t necessarily instantaneous, but when you pick the right bondsman, the process can certainly be quick and smooth. Learn more by reaching out to Remedy Bail Bonds whenever you need us!